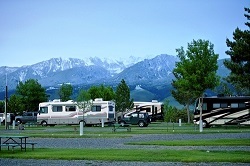 Your motorhome is like your second home in which you enjoy extended cross country trips with your family and friends. Then why not equip your motorhome with the finest accessories available to make your travelling experience even more enjoyable? 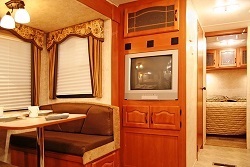 A high-quality RV stereo system is an ideal accessory you can buy for your motorhome in Kent. At Auburn Sounds on Wheels, we offer an amazing variety of RV stereo system products and speakers to deliver sound of the best quality. Whether you want a new motorhome stereo installation or want to upgrade the existing one, we can deliver services to match your needs. You have an extensive range of options to choose from for your motorhome stereo installation depending on your preferences and budget. The extensive range of RV stereo systems and DVD players we offer is best suited for the needs of our diverse clients, who all expect different things from their music systems. Not only can we provide the best RV stereo system and DVD player for your needs, but we also assist our clients with highly efficient motorhome stereo installation services. Our well-trained and experienced technicians are capable of completing the motorhome stereo installation process with great precision, assuring outstanding results. Their extensive knowledge of music systems and years of experience makes them capable of catering to our clients in Kent with the best motorhome stereo installation services possible. Auburn Sounds on Wheels is your ultimate destination to get high quality electrical components and interior electrical services in Kent. We strive to keep upgrading our products and services in order to serve our clients better. With us, you can rest assured that the quality of electrical components you buy here will be unmatched, at prices that are highly reasonable. Invest your money in the finest electrical components, and you can rest assured that these will keep serving your needs for a long time to come. So make sure the next time you hit the road in your stylish RV, you have an equally outstanding RV stereo system to keep you company. Get in touch with our team at 253-217-4800 to get best quality RV stereo system and motorhome stereo installation services in Kent.